Dr. Voronoff Laboratories is the world-leading company in research and development of the most advanced anti ageing / rejuvenation systems and cellular therapies. Our products have been and are permanently used in the world’s best rejuvenation clinics and spas. Our recent developments have confirmed once again, that we are the maximum authority in cellular therapy. The research we do in our laboratories is always centred in obtaining results in the most complex but effective way, from the inside of the cells. It is because of that, that our formulations and cellular therapy systems are based in inner treatments and not in creams or any other external application element. We go straight to the cells with the exact combination of necessary ingredients. Since its creation, several decades ago, Dr. Voronoff Laboratories has given only one license for the production of its formulas to Web Supplements Laboratories in Argentine. Web Supplements is the only dietary supplement manufacturer in Latin America with GMP (Good Manufacturing Practices) certification, which assure the maximum quality control in the industry. That laboratory is producing our original patented formulations complying with the strictest quality control rules, and they use ingredients 100% imported. In Dr. Voronoff Laboratories we are proud of what we do, and that’s the main reason and the strongest driving force behind everything we do, and it keeps us leading the world’s market for cellular rejuvenating therapies, the same way we have been doing for decades. 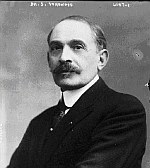 The inspirer of our laboratory was Professor Dr. Serge Voronoff (1866 – 1951). Dr. Voronoff was born in the city of Voronezh, Russia and then moved to Paris, were after finishing his academic studies, he developed his anti aging cellular therapy, achieving great acknowledgment, being known then as “the founder? of anti aging cellular therapy. After that, followers of his work started to appear, and continued the investigations following the steps of Dr. Voronoff. Among those followers the Swiss scientific Paul Niehans stand out. The investigations made for decades by Dr. Voronoff, were the base for all cellular therapies currently existent. Those therapies, as they are practiced today, were developed in the early 20’s by Dr. Voronoff, who treated successfully numerous personalities of his time. Then and based on the principles of Dr. Voronoff, Dr. Paul Niehans was nominated by the Academy of Sciences of the Vatican after successfully treating the Pope Pio XII. In these days, Switzerland is the country were the most famous clinics specialized in cellular youth are located. In such clinics, the “Cellular Therapy? treatment is the base of all anti aging therapies. In the year 2003 the efforts made by Dr. Voronoff in 1920 decade achieve public matter on the newspapers (1). And recently in 2005, Dr. Voronoff 1920 and 1930 works were named as the bases for modern anti aging strategies, to regain vitality and physical attributes associated with youth (2).